Keith fires Mr. Dalek's extermination arm into the air 21 times. Everybody slowly walks away, unaware of the flaming wreckage of a plane that is crashing into King Tut's Pyramid. And three other burning planes heading for Egyptian landmarks. And a new pockmark on the Moon. A ghostly apparition enters Adam's bedroom. The figure hangs off the ground, all in white, with red pulsating eyes. It stops, looks both ways, and turns left. Right in front of it are Fred, Velma, Daphne, Shaggy, Buffy, Dawn, D'Argo, Rygel, and Aeryn Sun. The apparition boggles its eyes for a moment, then begins to let out a ghastly wail. 'AAAHHHHHH!' scream the gang, who started to run, and turned another corner. The apparition continues to wail and turns the corner itself, only to find everybody looking at it with a smug sense of satisfaction. Only at that moment does the apparition look down to see the net with strings beneath him. 'Pull!' yelled Fred. Buffy, Dawn, D'Argo, and Aeryn pull strategically placed cords, and the net comes up, trapping the apparition tightly in quality weaving. 'I've never heard of a ghost that could be trapped in a web,' offers Dawn. 'You were created from wholecloth and missed 15 years of childhood. There are many things you don't know about,' Buffy replies, a bit more harshly than she intends. The recent toy audit has resulted in the UK Toy Government garnishing wages to repay taxes for gifts of 'stakes' that turned out to be 'steaks'. The apparition groans a sigh of disappointment. Shaggy removes the sheet to reveal - Pinky and The Brain! Our band of interpid toys pull on their ropes some more, hoisting the package of Pinky and the Brain up to the bedroom rafters, to think about things for a while until a sentence can be decided upon. Scooby: 'Reek. Rokate. Resroy. Rareks conrewr rand resroy. Rareks conrewr and eat ruby racks. Oh ro! Ruby racks. Ruby racks!' Scooby tries to delicately reshape his right arm paw, but it will not go in the shape he was thinking of. Scooby groans. Nobody understands his problems, not even him. Shaggy feeds Scooby some snacks, which Scooby eats unemotionally. Shaggy and the others wander off. Scooby comes to the edge of the bed, where the charred head of the toy of John Crichton can still be seen. Scooby frantically shoves the toy completely beneath the bed. What has he done? How has he done this? How long till he would feel the urge to do it again? Actually, he was feeling the urge right at that moment, and he sets off in search of an unpopular toy who will not be noticed for a while. Downstairs, Adam slowly examines the Cairan Egg, an artifact designed to give its owner mental powers capable of influencing the world. Friends, enemies, governments. All should fall under the power of Adam's mind once he figures out how to use the Egg. Adam tracked the egg for months. He faked a family vacation to go there and collect the egg. And he paid a terrible price - the loss of Mr. Dalek, sucked into the sands. Two months later, and he has not found the energy to begin researching how to use the egg. Adam can barely look at it. Adam does not look at himself - no shaving, just a growing wolfy beard. There may be a time when Adam can use the Egg, but it is not now. Adam returns it to the Closet Of Evil, where it shares space with other priceless and rare artefacts designed to conquer the Earth. The pickle of Pelligrigino. The real Atomic Bomb from the Enola Gay in 1945 (the two bombs used that August were at half-power because they'd had to take the materials from one and spread it out). The formulas for New Coke and Crystal Coke. Fingerprint and DNA splicer that could make you impersonate whoever you wish. A 4 stringed Yo-Yo. Adam closes the closet door and leaves his garage laboratory. 'I want to be evil, but I haven't the nerve. The price I have paid, it has cost me the verve. No energy left. No strength in my sinew. My strength was not in me. My strength was in you. I need to move on, but my desire is gone. To conquer the Earth, twas my plan all along. Adam: 'And now I can't even get into tune for a random act of music.' Skulks off, with Andy walking beside him trying to cheer him up. 'This has got to be the worst soil - in Craw-ley. It's dry and - it's creaky. I feed it and feed it. It comes over - weedy. A convertible pulls up. A tall man with a firm beard, a flannel shirt, and blue carpenter jeans gets out of the car. A shimmering gray striped cat named Wycliff wanders over to Keith. Keith brings Brawny over to the garden shed. Inside, he opens a secret passage. In the section of the passage marked 'Bounty Hunters', Keith adds Brawny to the other five. Karen cannot hear Keith as she is hauling a large object down into the basement, an object which drops a Gold-painted gun. Scooby lowers the paw. Shaggy will not have to die just this second. Keith walks over to the pantry to find something to make for the meeting, while imagining how to bankrupt India with an evil Soft Drink. Wycliff smirks as only a cat can. Jean: 'So, the whole backstory we know about you and Mr. Dalek is a lie. 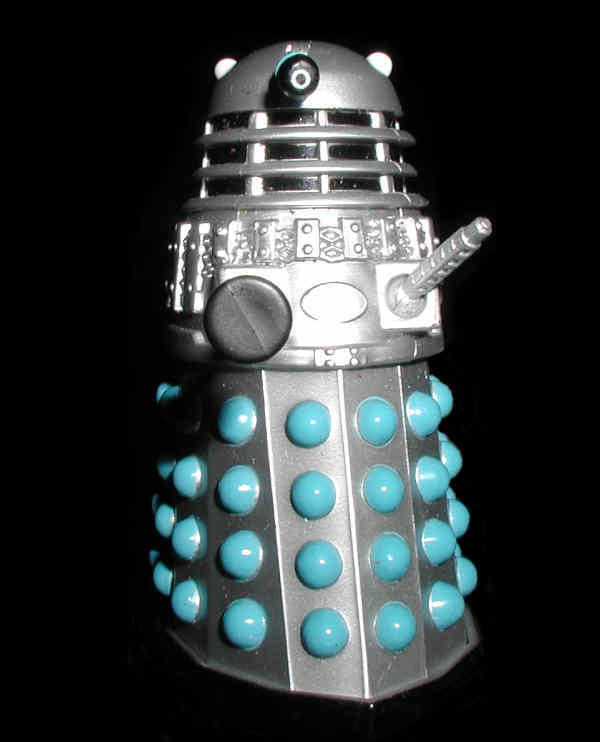 Mr. Dalek is somehow at least partially alien AND still alive. Your Scooby toy is infected with his mind and has been abducted by a secret society of toy psychiatrists that we have never heard of. But most shocking of all - we are supposed to believe that your delicious pecan pie has less than 200 calories per serving? Jean: 'Now, the outer guards are bears. Not just bears, but Yogi and Boo Boo. Boo Boo doesn't follow orders well, and Yogi has an ultimate weakness - Picnic Baskets. Jean sneaks into the central security hub. One man is on duty. As she picks up a vase to smash on his head, the man turns around. Wycliff the Ghost Cat wanders past. Keith and Karen awake, trapped in an an escape proof cell. They can see various toy prisoners. as I Kill, and I Maim, and I Spread Love and Joy. And now I'm gonna do some free verse. It doesn't matter what the words are. No one is going to understand it. The singer will mumble the lines. Wycliff the Ghost Cat hangs around our heroes. Andy: 'It's not easy ... being Andy. Everybody thinks your life is fine ... and dandy. Wycliff gets very annoyed at the failure of Keith to outwith the Bounty Hunter and wanders off in a huff, not to return in this episode. He's found a patch of catnip to play in and go crazy. The representative for the society for relaxation in drama enjoyment wishes to remind everybody that this is a missing story. Virtually all of these characters appear in a story that happens later in the timeline. Therefore, they will all live, and you can relax. Jean and Raymond run through the corridors, flicking switches to open cells and scaring off various Gordon Browns with the machine guns of the first two Gordons they came across. Eventually they find the Execution Holding Cell. As they arrive, the switch is thrown to electrocute Scooby. Adam struggles but is unable to get away from the wall. Jean jumps for the panel with the circuit breakers, cutting the power to everything under T.R.O.Y's control. Jean is mildly shocked. Raymond rushes forward to release Scooby and Adam. Just then, Rainbow Dash the My Little Pony enters the room, holding a Machine Gun. The representative for the society for relaxation in drama enjoyment is cowering under the table right now in shock, horror, and fear. Keith sinks fully into the Owens Corning, and a large dry frozen rectangle containing his body ejects. Most of Keith's features can be recognized, though for some reason his face resembles a cartoon panther. A wall opens to reveal a supercharged V-10 mini-van that seats 7. More than enough for the folks who made it this far. The 2 friends, Nick, and Scooby get into the van and scoot away. The gang drives away at high speed. Jo returns to the Human kennel at T.R.O.Y. Erik the Bounty Hunter leads the group, and starts the car. 2 hunters rope the Owens Corning Carbon Fibreglass Insulation package of Keith onto the roof. Karen, under guard and constricted as before, is shuffled to the car and guided inside. Everyone gets into the car and it sets off for the Coast. Apart from being a helpless prisoner right next to your frozen husband facing a lifetime of servitude (if lucky) or torture (if unlucky), is there anything worse than having to listen to a talkative Bounty Hunter for a couple of hours? You know he's going to get into his family, his hopes and dreams, how he got into the Bounty Hunter business, the weeks of work to set up the trap to grab them. Karen is facing a long amount of tedium. But we have the luxury to jump away from this screen. The storyline of Keith, Karen, and Tony will continue in the next episode. Jean: 'Space Goat.' Turns to machine and starts making adjustments using said spanner. *As we said in the opening, this story is set BEFORE the launch of the Flashing Blade Podcast. The Scooby Doll was floating in air like a Dalek. He had even mentally turned the front right paw into an extermination stalk. Mr. Dalek/Scooby is indeed visibly showing a bubble around himself. Adam and Jean decide not to argue and get inside the shield. The End ... Of This Episode. Mr. Dalek will return, and will make it back into a Dalek body ... eventually. A TWIDW Production for Staggering Stories. Written by Benjamin Elliott in 2009. Doctor Who and just about all Doctor Who concepts except the Daleks belong to the BBC, who have hopefully figured out by this point that the story is written with love and not to make any profit. All other fictional characters in this story belong to the companies or individuals that made them, and no infringement is intended. All real characters in this story have been fictionalized, and this story is not intended to praise or criticize anyone. Well, ok, Wycliff was a terrific cat. This is a gentle comedy. No harm intended.